Fatima is a Hazara girl, raised to be obedient and dutiful. Samiullah is a Pashtun boy raised to defend the traditions of his tribe. They were not meant to fall in love. But they do. And the story that follows shows both the beauty and the violence in current-day Afghanistan as Fatima and Samiullah fight their families, their cultures and the Taliban to stay together. 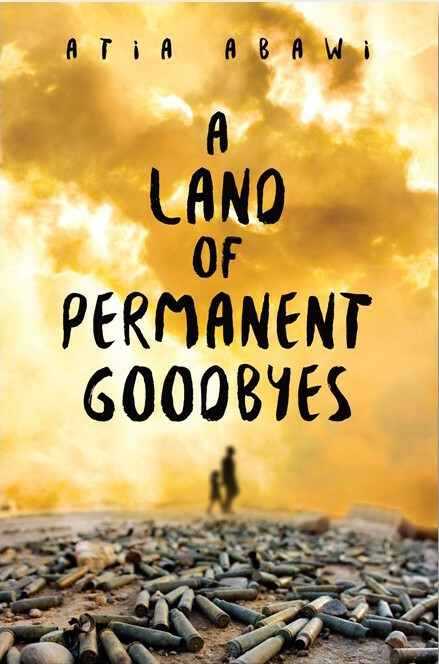 Based on the people Atia Abawi met and the events she covered during her nearly five years in Afghanistan, this stunning novel is a must-read for anyone who has lived during America’s War in Afghanistan. Perfect for fans of Patricia McCormick, Linda Sue Park, and Khaled Hosseini, this story will stay with readers for a long time to come. Narrated by Destiny, this heartbreaking — and timely — story of refugees escaping from war-torn Syria is masterfully told by a foreign news correspondent who experienced the crisis firsthand. family knows that to continue to stay alive, they must leave. As they travel as refugees from Syria to Turkey to Greece, facing danger at every turn, Tareq must find the resilience and courage to complete his harrowing journey. Destiny narrates this heartbreaking story of the consequences of war, showing the Syrian conflict as part of a long chain of struggles spanning through time. An award-winning author and journalist–and a refugee herself–Atia Abawi captures the hope that spurs people forward against all odds and the love that makes that hope grow. Hope is a decision, but it is a hard one to recognize in the face of oppression, belittlement, alienation, and defeat. To help embolden hope, here is a powerhouse collection of essays and personal stories that speak directly to teens and all YA readers. Featuring Angie Thomas, Marie Lu, James Dashner, Nicola Yoon, David Levithan, Libba Bray, Jason Reynolds, Renée Ahdieh, and many more! Like a modern day Chicken Soup for the Teenage Soul or Don’t Sweat the Small Stuff for Teens, Hope Nation acknowledges the pain and offers words of encouragement. Authors include: Atia Abawi, Renee Ahdieh, Libba Bray, Howard Bryant, Ally Carter, Ally Condie, James Dashner, Christina Diaz Gonzales, Gayle Forman, Romina Garber, I. W. Gregario, Kate Hart, Bendan Kiely, David Levithan, Alex London, Marie Lu, Julie Murphy, Jason Reynolds, Aisha Saeed, Nic Stone, Angie Thomas, Jenny Torres Sanchez, Jeff Zentner, and Nicola Yoon.